Beard Juice ‘No. 79 Coffee and Nutmeg’ Beard Oil has changed my opinion about Coffee scented beard oils! Whenever I have reviewed a Coffee scented beard oil, I have mentioned that I am a tea drinker, I’m not a coffee lover and so whilst I can appreciate a coffee scented oil, it’s not something that I would personally choose to use. No. 79 – Coffee and Nutmeg Beard Oil from Beard Juice is an oil that I would choose to use, a base of Almond, Argan, Coconut, Hemp and Jojoba carrier oils with a blend of Grapefruit, Roasted Coffee and Nutmeg essential oils. This results in an oil that has a beautiful rich coffee aroma with a warm and spicy scent sitting in the background. This beard oil reminds me of walking in (well wheeling in) into the kitchen at Christmas when a pot of coffee is being filtered through the coffee machine (it’s the only time we use the machine). What is so nice is that No. 79 – Coffee and Nutmeg Beard Oil from Beard Juice smells like fresh roasted coffee, it’s a hard scent to get right as many can end up smelling like stale coffee in your beard, but Beard Juice have got this so right. Applied to my beard after washing and whilst damp, No. 79 – Coffee and Nutmeg Beard Oil from Beard Juice left feeling naturally soft with a very light hold. The oil will also help to prevent that itch that we can all get from time to time and it will also help prevent beardruff. Arriving in its own cardboard tube featuring the Beard Juice glossy black and gold branding, this 30ml/1.5 fl oz beard oil with glass dropper will be likely to impress from the minute you receive it. 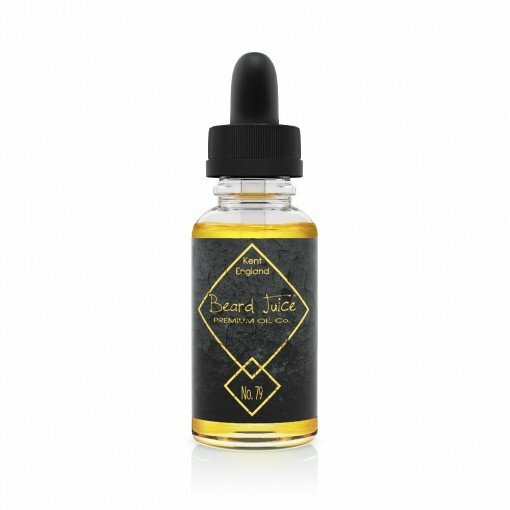 Costing £10.90 from the Beard Juice website this beard oil is also very competitively priced. You can keep up to date with Beard Juice on Facebook, Twitter and Google + and Instagram.